What: Underground fine dining, secret location, no dish ever repeated. 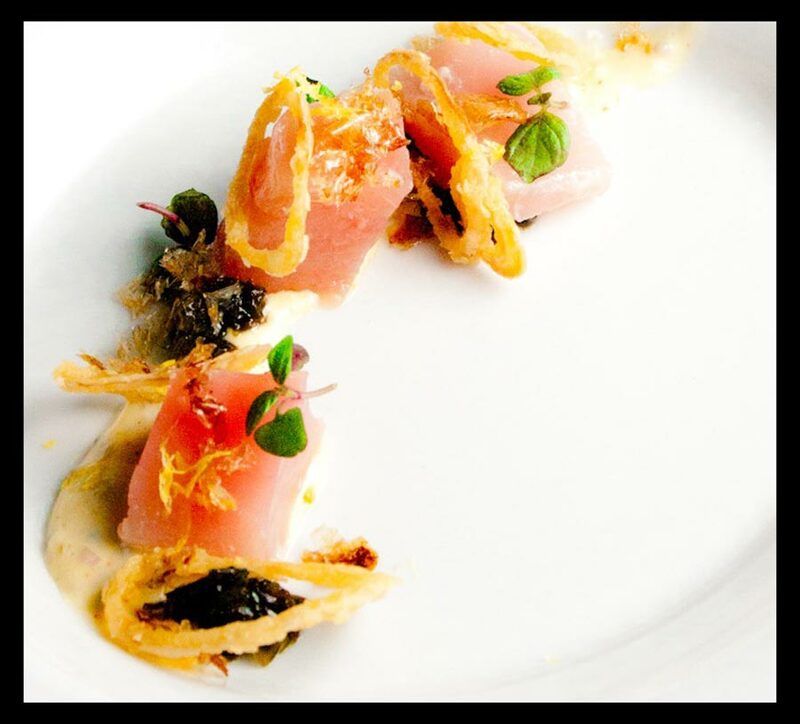 Dish: Albacore with Bonito Gribiche, Fried Shallot, Horseradish and Kombu Relish. Reservations: Reservations can be made online via their request form or check @lazybearsf for last minute cancellations. What: Lunch, organic and market-fresh, neighbourhood cafe in Hayes Valley. Dish: Red Perella Lettuces, with Radishes, Cucumbers and Creamy Herb Vinaigrette. 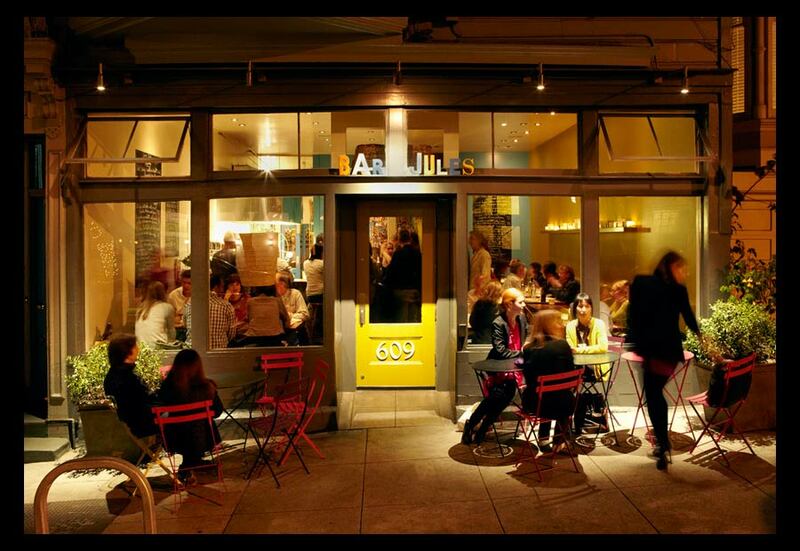 Reservations: Half the restaurant is retained for walk-ins or you can email reservations. See their website for details. 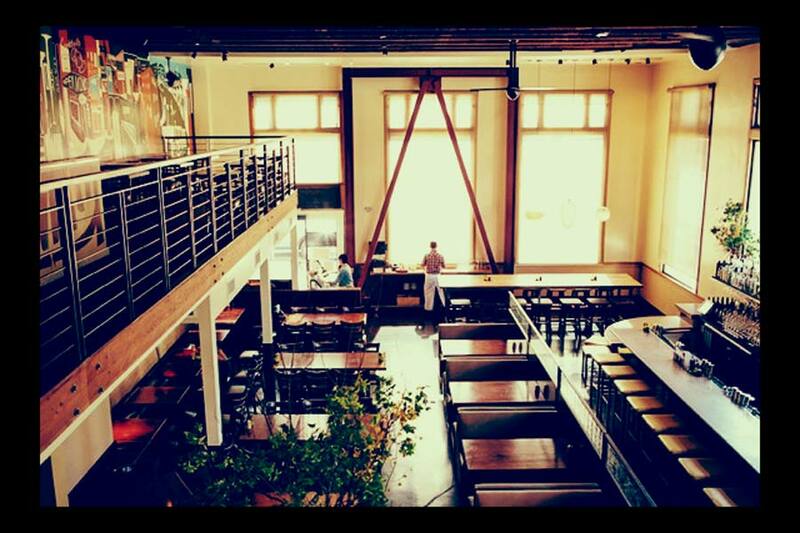 What: Buzzing restaurant with open kitchen, late night serving until 1am. Dish: Pork Chop, Fresh Shelling Beans, Grilled Mutsu Apples, Broccoli di Ciccio and Mustard. Reservations: Recommended, can be made from a month in advance on their website. What: Strong vegetarian and vegan options, ex-surfer owners means arty, rustic and lots of driftwood. 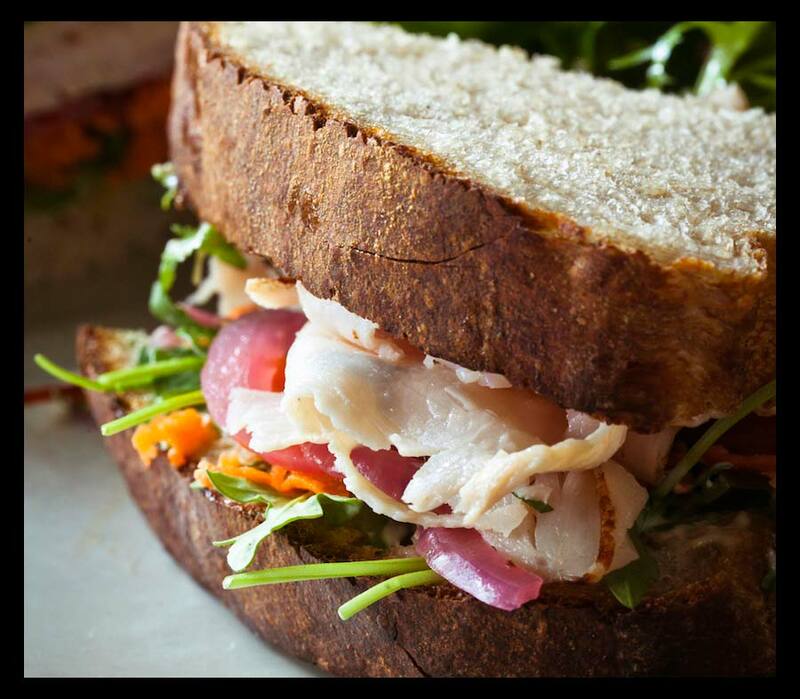 Dish: Turkey Sandwich with Shaved Carrots, Pickled Red Onions, Coriander & Serrano Aioli, served with a side of greens. 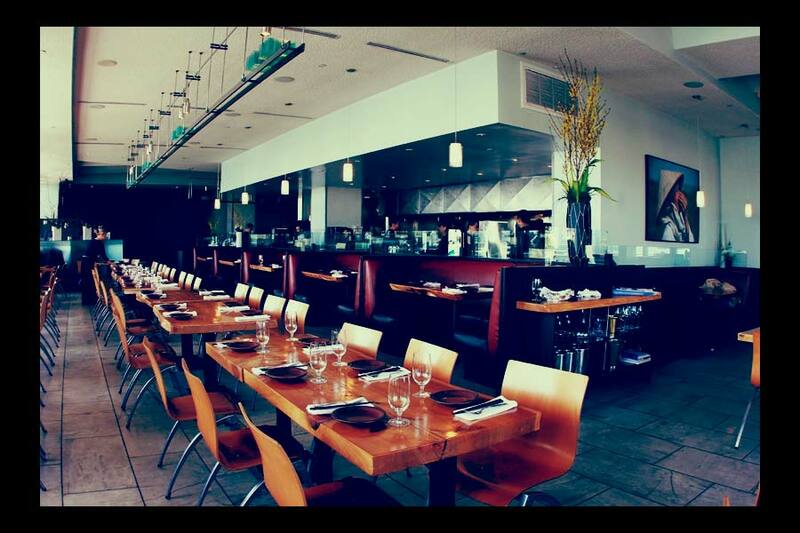 Reservations: Non for lunch or brunch. Dinner reservations can be made from a month in advance on their website. 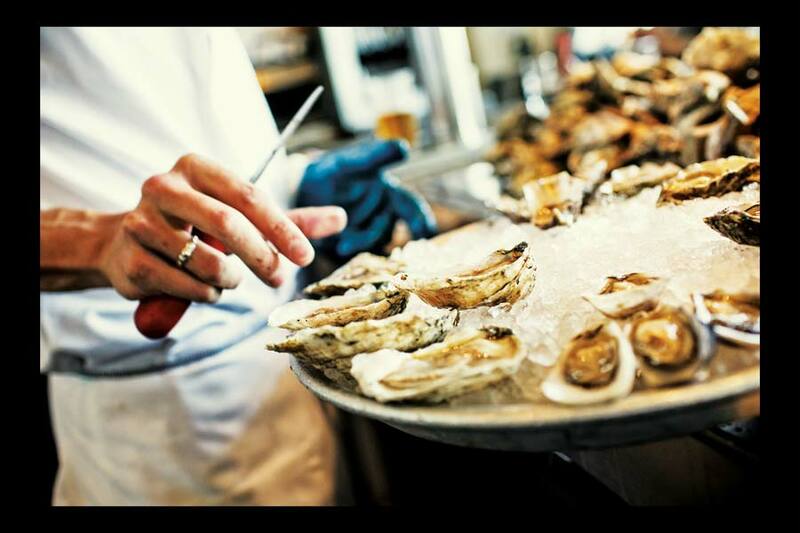 What: Local sea fayre of oysters from their own farm, Dungeness Crab, Chowder and Steamers. Dish: Hog Island Sweetwater (Pacific) and Hog Island Atlantics (Atlantic) raised in Tomales Bay, CA. Reservations: Non, go early and queue. See their website for details. What: Modern Vietnamese, unusual wine list, perfect view of Golden Gate Bridge even better at night. Dish: Wood Oven Roasted Boneless Niman Ranch Short Ribs, Madras Curry, Thumbelina Carrots, Summer Squash, Eggplant. Reservations: For 6 or fewer can be made online via their website, otherwise call them directly.